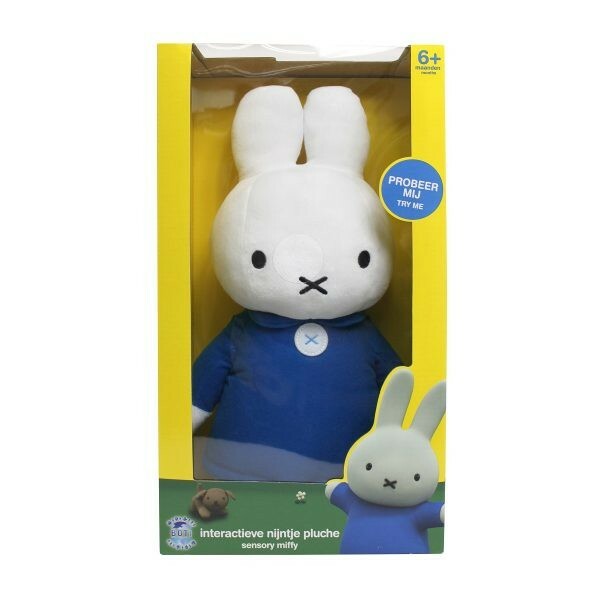 Little ones will love this Miffy interactive plush toy and have early learning about body parts name by pressing the interactive sensors. This Sensory Miffy Interactive Plush toy will name various body parts when pressed that helps little ones have early learning about the parts of body name. Made from colourful textured fabrics. 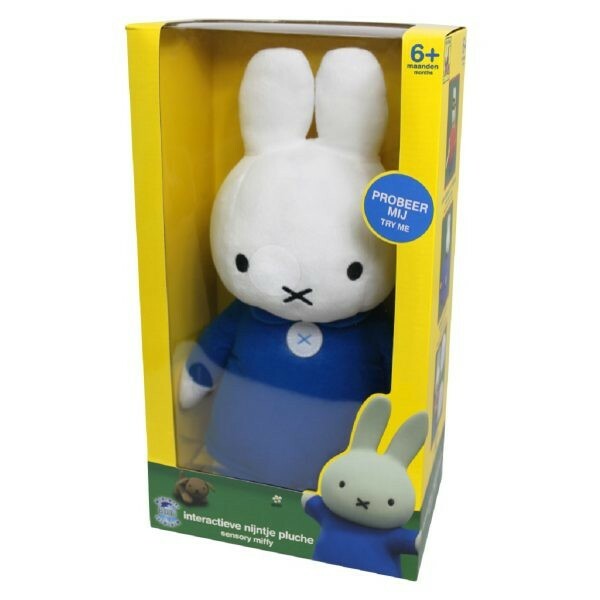 Press 14 interactive sensors to hear what miffy has to say. Miffy will names each body part as they pressed. 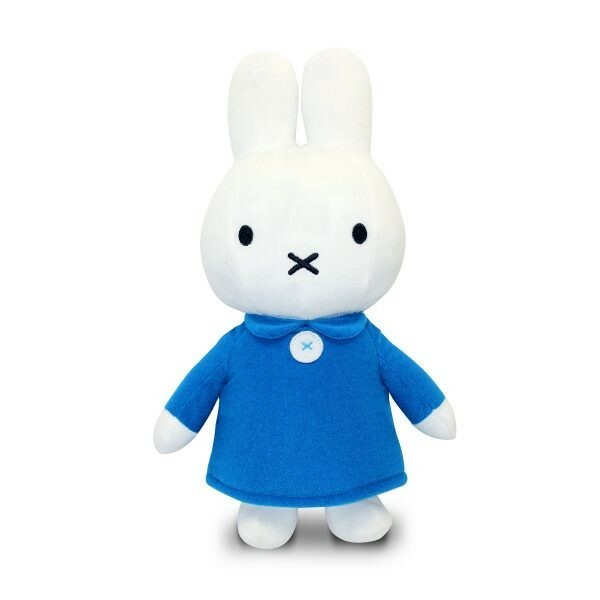 Miffy also plays the theme tune from CGI-animated Miffy TV series when a button on her dress is pressed.